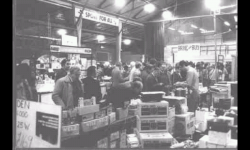 The Leicester Amateur Radio Show was a radio and electronics exhibition held annually at Granby Halls in Leicester between 1972 and 1997. 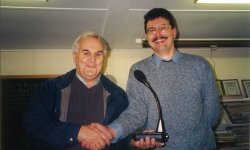 The "show" was a major contributor to club funds for the Leicester Radio Society who provided a number of volunteers to assist in the setup, stewarding and post-show clean-up. We also operated the Bring-and-buy stall for most (if not all) of these years. With the demise of Granby Halls, the show was moved in 1998 to Donington Exhibition Centre but an uncertain future for the Donington site resulted in moving for the 38th and final show in 2009 to Loughborough University. 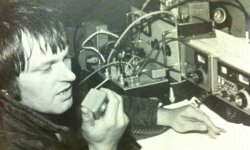 Love them or hate them, contests are an important part of Amateur Radio and Leicester Radio Society have a long history of operating contests. 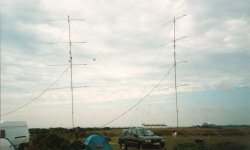 From Field Days to IOTA (Islands on the Air) we would like this to become a permanent record of as many contests as possible. 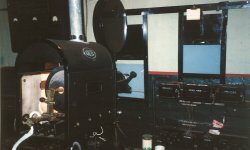 In this gallery we would like to find as many photographs of Special Event Stations that Leicester Radio Society have operated over the years. This category contains various pictures where the year and/or location is unknown. If you have any further information, please comment on the individual picture. This section contains a number of black & white photo's that we have found, please let us know if you recognise anybody. There has been a tradition for many years at LRS to present trophies and other items to members who have gone "above and beyond" in a particular discipline or to thank them for their contribution to the club. These are usually presented at the AGM (Annual General Meeting). There are a number of trophies that are regularly presented, among these trophies are: The G3PBC "Craythorne Trophy", The G5UM "Jack Hum Trophy" and the "Construction Trophy". We also have regular talks from both members and visitors on a number of topics, a selection are shown here. As the home of LRS is over 100 years old, it requires regular maintenance. Where possible this is completed by teams of "willing" volunteers. Here are some of the recent jobs.